Principal Ann Peters to the left, Mr Toussa int on the right, Giselle Laronde-West and two teachers from the schoo. Continuings its commitment to the development of young people in the Laventille community and environs through education, Angostura Ltd has begun another project designed to improve vocabulary and literacy skills in several primary schools in the area. 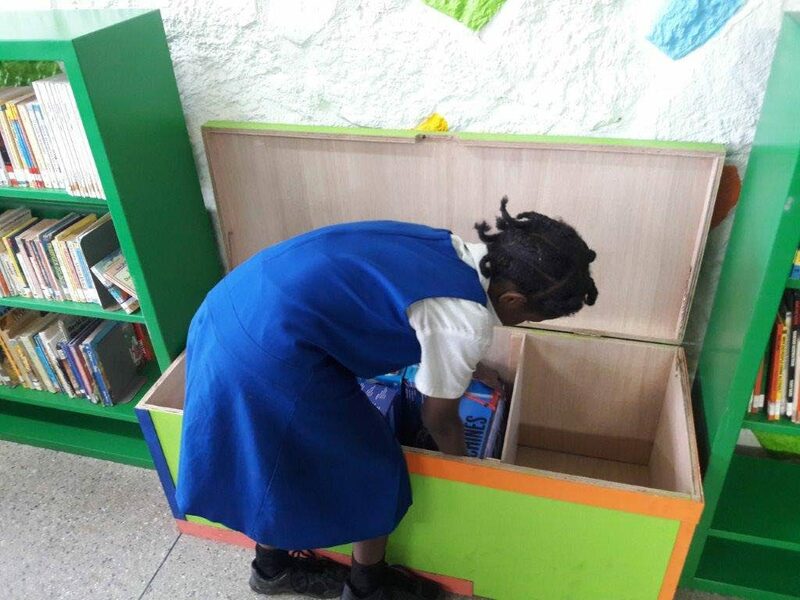 The first school to receive assistance under the Library Enhancement Project was St Barb’s Primary school on Upper Laventille Road, Port of Spain. 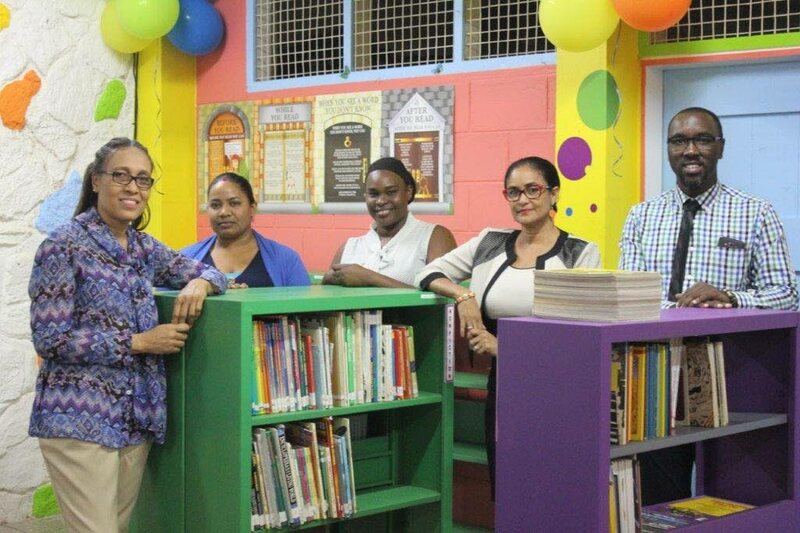 Collaborating with Educate Inspire Encourage (EIE), a local company that specialises in providing library services, owned by Curtis Toussaint, Angostura began work at the school in April to refurbish the existing library space making it more attractive to young readers. The walls and shelves were painted in bright colours, attractive posters and decals put up and the space laid out in a more user-friendly design. Outdated books and resource materials were archived, and current texts were digitally catalogued, using software specifically designed for library management. Training of teachers and students on how to use the software will start in the new school term, with ongoing support to be provided by EIE. Reply to "St Barb’s primary library gets upgrade"